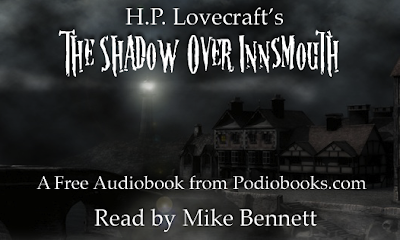 Mike Bennett Author: The Shadow Over Innsmouth - Now Live! The Shadow Over Innsmouth - Now Live! My free audiobook of H.P. 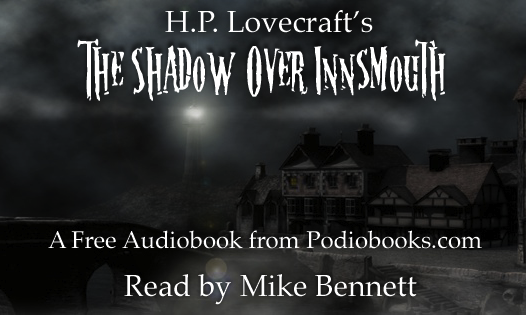 Lovecraft's The Shadow Over Innsmouth is now live at Podiobooks.com, iTunes, and for YouTube nuts, it's on there too. Enjoy! And I'd be much obliged if you could leave some stars and a review after you've listened. Many thanks!